Apple has announced that OS X Mountain Lion (10.8) downloads have exceeded three million in four days, "making it the most successful OS X release in Apple's history". Mountain Lion was released to the Mac App Store on July 25th for $19.99. 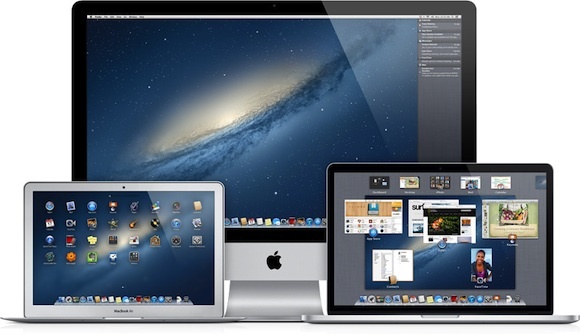 In comparison, Apple announced one million downloads of OS X Lion (10.7) in the first day of its launch. Or an admission that nobody was particularly attached to Lion. this thing dusts microsoft in launches as a percentage of its user base. so awesome. most of my tech friends are still using XP lmao. Windows 8 will do double that in half the time. You are delusional if you really think that. Windows 8 can do that too. 16 euros vs 200-300. No wonder. The issue with windows is it takes so long for their key user bases to adapt their systems to the latest Microsoft Operating system. My old school was using Windows 2000 until 2006. They then upgraded to Windows Xp until I left in 2009, when I went to college the IT department there was still on XP, thankfully though I used OS X Snow Leopard as I was a media student on the iMacs. Now I'm at University most of the computers in the library are either using Xp or Vista. Doesn't bother me since I always use my MBP. Its the same with corporate environments, it takes them maybe 3 or 4 years before they update their systems. I can imagine Windows 8 being a huge hit on the new tablets, but I cant see it taking off really well in an office/corporate environment, when people are so use to the typical desktop with a start menu etc. Apple users on the other hand actually get excited about a new OS update and are generally wanting to be one of the first to get it ASAP. Umm, no, the Windows market is FAR bigger than that for OS X so of course Windows 8 is (almost) certainly going to move a lot more units than Mountain Lion. The last figure I saw had around 85 Million PC's sold in a quarter, and that's without the benefit of something shiny and new to play with. You are missing the point he is trying to make. No doubt Windows will sell more than OS X. He is saying that no way will Windows sell 3 Million copies in 4 Days.